Whether you’re trying to draw a crowd for the big game, entertain the kids while they wait or provide access to timely news and information for your clients, we can provide the right satellite TV solution for your business. Get the channels you need and the support you deserve with mix n’ match programming packages and full-service maintenance options to eliminate un-budgeted costs. At Mood, we only service commercial satellite TV accounts, so you never have to get in line with residential customers. Deal direct with a full service provider, and experience the difference today. By partnering with the best satellite providers out there, we can offer the ideal satellite television solution for commercial applications. Together, we provide programming to entertain, inform and educate with business, news, weather, sports, entertainment and family-friendly fare. Packages also provide wide access to many popular and all local channels in HD. With commercial television solutions, you can enhance the customer experience for any business. 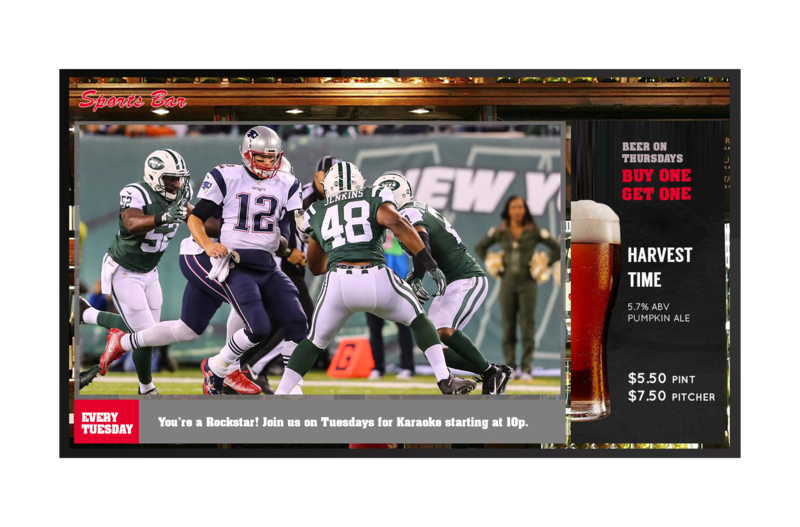 By providing high-demand programming such as the big game or the hot new reality series, you’ll reduce your customers’ perceived wait times and increase customer loyalty. Mood’s unmatched National Service Network has more than 165 offices and 450 technicians specializing in commercial audio/video solutions dedicated to keeping your equipment working around the clock. You can depend on prompt, consistent and reliable installation and service in your local area. Choose to include maintenance as a part of your package and realize incredible value while avoiding unbudgeted cost.